Make the book pitch to the world through social media. ​Make a book pitch to me by recording in no more than five minutes what you think your idea is. So you can get some validation that your concept makes sense or that you’re going in the right direction. Email the recording to ​support@trevorcrane.com​. 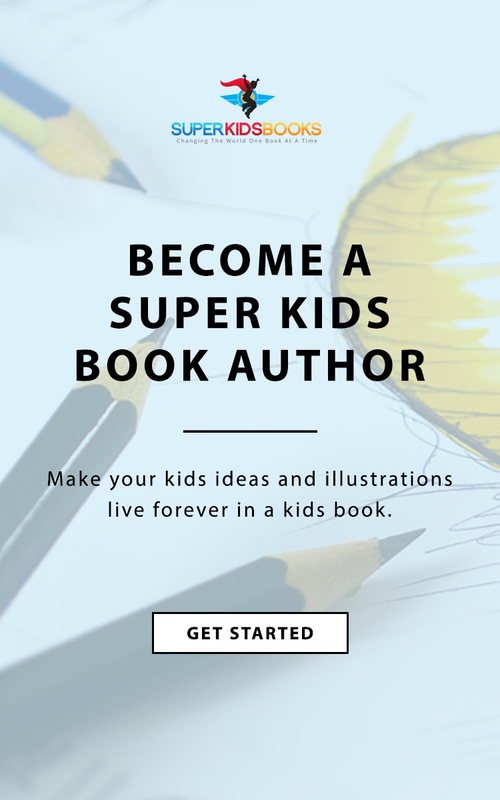 Wouldn’t it be cool to have THE ULTIMATE BOOK PITCH that you can share with the world so you can start to benefit from the value of having a book? I recognize that this is one of the challenges that people have. How can I tell potential clients? How can I tell the world? How can I post on social media about it? So today, I also want to give you an invitation to make your book pitch to me if you’d like to. And I could hear your story and give you some confirmation about whether or not I think you’re writing the right book. So every single day, I’m talking to people about their book, about their story about how they can become a more powerful storyteller. And I really want to help you today with a fear that a lot of people have. And it is about how to talk to the world about your book, or your different ideas and, and to bounce them off of maybe a publisher, whether you go for traditional publishing, or if you self publish, or you work with Epic author publishing, and we help you tell your story. 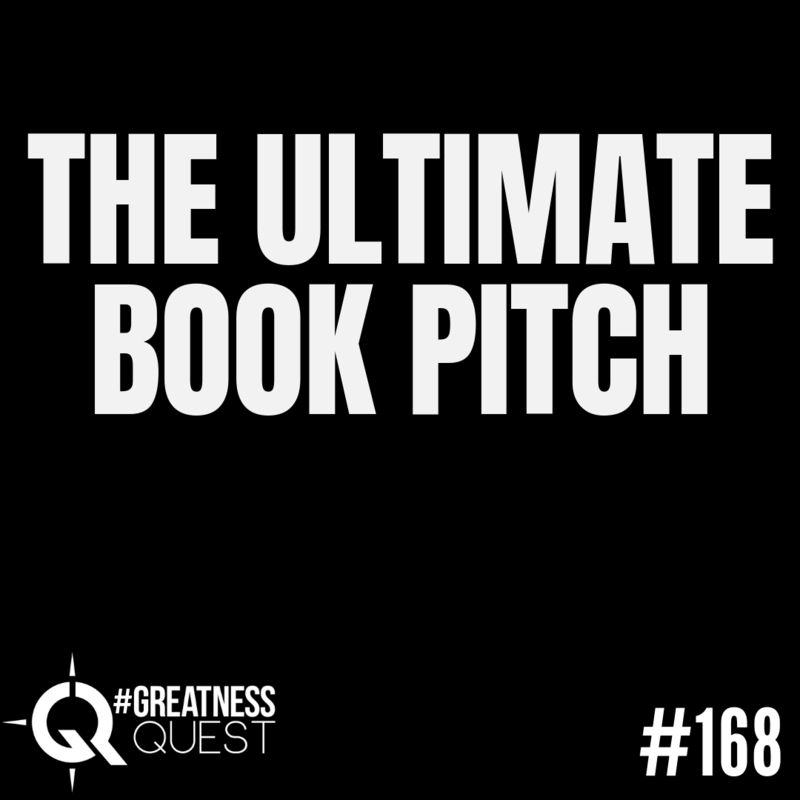 But not only that, wouldn’t it be cool to have the ultimate book pitch? Which is about what today’s subject is going to be that you can share with the world. So you can start to benefit from the value of having a book. So I know you’re gonna love this show. I hope I was clear about that. We are going to talk about the ultimate book pitch today. But it’s your book pitch for you just wanting to start telling, like talking about your book. I recognize that this is one of the challenges that people have. Like, hey, what do I say? How can I tell potential clients? Or how can I tell the world or how can I post on social media about it? Because if you remember my story, I thought I should be writing a book for years and never got one done. And it wasn’t until I hired my book mentor that I actually started to make progress on it. And I found the right message to show the world and I really wanted that confirmation from another human that I was on the right path. And thank God I did. Because all the books that I came to him for the first try of what book it should be were not the right book for me to write. And so this is a really important thing. And yesterday, I had a really cool experience and really yucky experience with you. And hopefully, you’ll be able to benefit. So I have a whole bunch of friend requests that we’re sitting here in Facebook, and I haven’t gone into accept or decline friend requests. And primarily, because in the past, I’ve just kind of looked glance that the names and just hit except, except except, and I wanted to take a few minutes. Instead, just look at the people and see whether or not we have anything in common. And I actually connect with them and send them a little message saying, hey, really nice to meet you and glad to be here. So while I was doing that, what happened is some people immediately started reaching out to having conversation. And so it’s kind of cool. One of the guys that I met said that he was in the middle of reading my book, and I was super stoked. I was like, this is cool. Even sent me a picture of it, by the way, that has never happened. Don’t have a book yet. Oh, my God, that is the coolest thing. I was so excited. And then they are in the they said, they said, they said they wanted to talk to me. And so I had a few minutes. And I thought, you know, what, how cool would it be to just chat them right here. And on Facebook, you can do a little phone call thing. So I just I hit the the Phone icon. And I said dangling. And that’s what I typed in. And I call them. And before I knew it, we were having a conversation. Now what happened next was he was all excited to talk to me. And he was reading my book. And that was kind of cool. And then he started to tell me what his book was about. And his concept. And the thing is, is we didn’t set the time to do this. I didn’t actually I made a big mistake by just jumping into the conversation without the giving context of what we’re going to talk about. So what happened is, he started to tell me about his ideas. And what we spoke up about, and the conversation was going on and on. And I made a big mistake. I first of all, I didn’t schedule this call to happen. And he didn’t really know the context other than neither did I. And I only had a few minutes. And as soon as I said, hey, man, how’s it going? What do you want to talk about? He started pitching his book idea. Now, the challenges that didn’t have the time to listen, I was I have other appointments, I thought we’d have a quick chat, but I didn’t clarify. And then he started telling me about a project or his ideas for this book that he’s working. And what ended up happening is, I had to cut him off in that sentence. And just apologize. And and, and I was trying to cut to the chase like, hey, brother, how can I help you? But here’s what happened, he felt interrupted and and not appreciated, and thought I might be trying some kind of sales approach on and then the conversation went from being very cool to very uncomfortable in just seconds. And then we got into almost a combative argument type of thing. And I was just trying to get off the phone, because I didn’t have the time to have this conversation. And I love hearing people’s stories about their books. But at the same time, because we hadn’t set any clarity for our session, what happened is, he probably didn’t do the best job of telling me about his book, because there’s a lack of clarity of context. And so that’s why I decided I thought this would make a lot of sense to give to you today. How to make an ultimate book pitch to anybody, anytime. And to go ahead and make sure that if you do it, you, you get their attention. And you can test whether or not your book idea actually makes sense. And like I said, I want to give you an invitation to do this with me today. So I started thinking about it. And the I actually coach my clients to start off with day one, start telling the world and declaring to the world and telling the world about your book. So first of all, I want to give you the first step of making an open book, pitch. 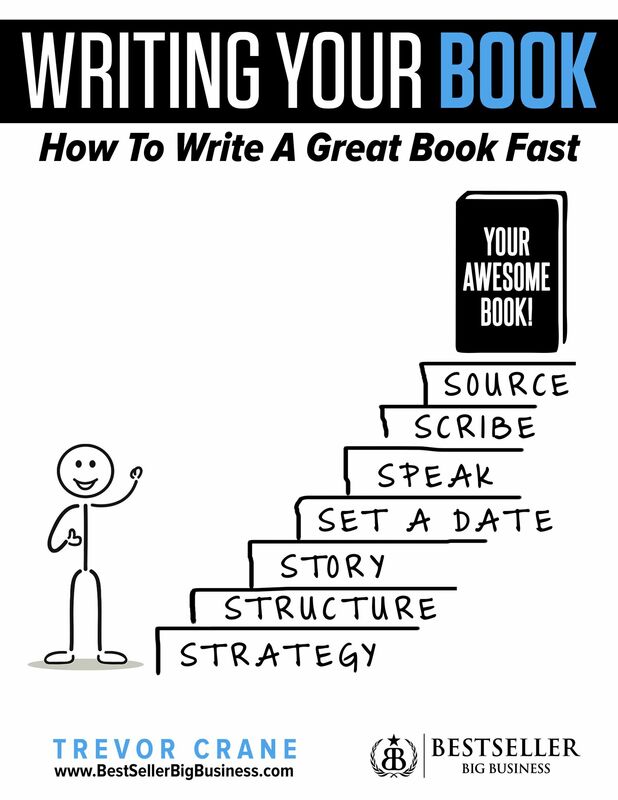 The way that you begin this is that you tell people you’re writing a book. Now, I know that may seem silly, you’re like, dude, rope? What do you mean with it? I tell the world and what do you say? That’s it, you tell the world you’re writing a book. You say, I am writing a book. I’m so excited. And I have a little script on it. That actually goes that you were just talking to a publisher recently. And that could be me right now talking to you. And they’re really excited about helping me publish my book, my first book, and that’s it. That’s really it. And if you want to tell them that you think it’s going to be about money, and you think it’s going to view marshmallows, or whatever it is, that just begins the process. So when you’re meeting someone at a bar, let’s say I was never very good at the single pickup game. But let’s just imagine we were right now you wouldn’t walk up to someone saddle up to them at the bar, and then tell them your life story, you would just kind of confusing and it doesn’t necessarily attract people think people would think you’re a little bit crazy. So what ends up happening is, we don’t get permission first, when we start telling people our story, then it’s just, it’s just a little weird and uncomfortable. And then we didn’t have time for it. Like, this is what happened the other day. 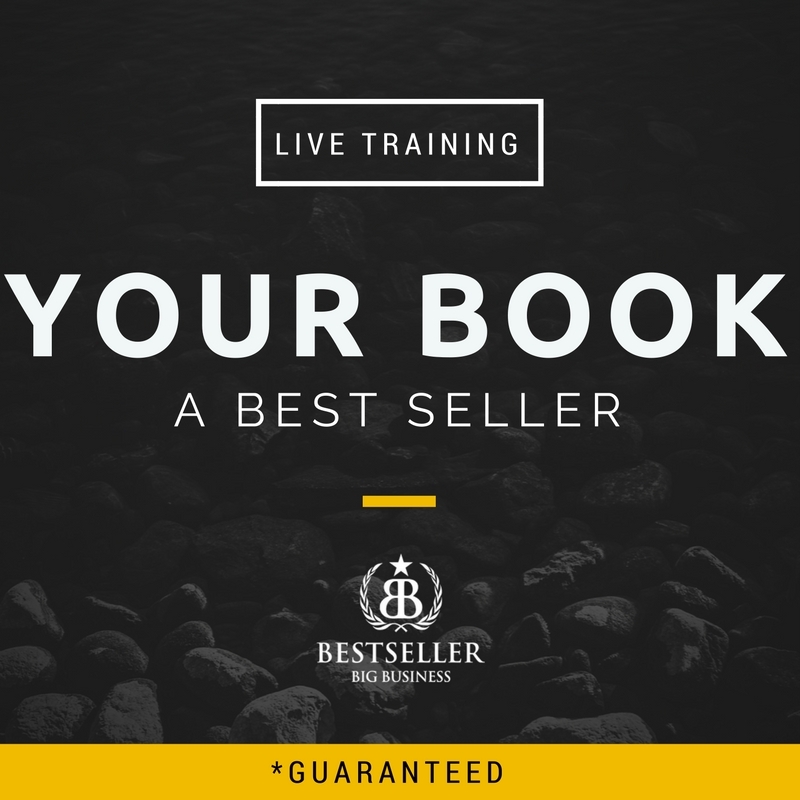 So if you what I suggest you do at first to start practicing your ultimate book pitch. See, most people don’t know you’re writing a book, most people don’t know, you want to write a book. And you maybe haven’t even committed to getting your book done. 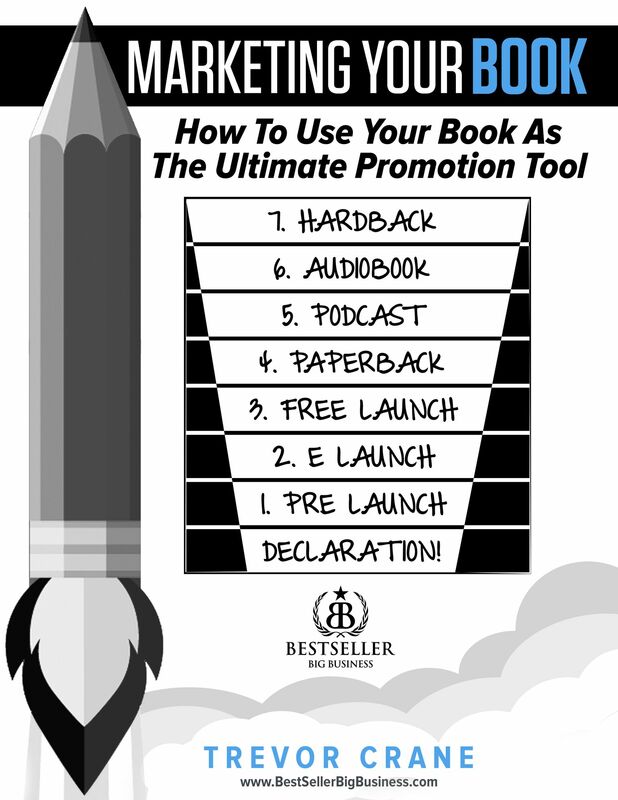 If you commit to this first step, which is just tell the world you’re writing a book. This means you start doing it everywhere. If you’re being interviewed on a podcast, you tell people I’m writing a book. 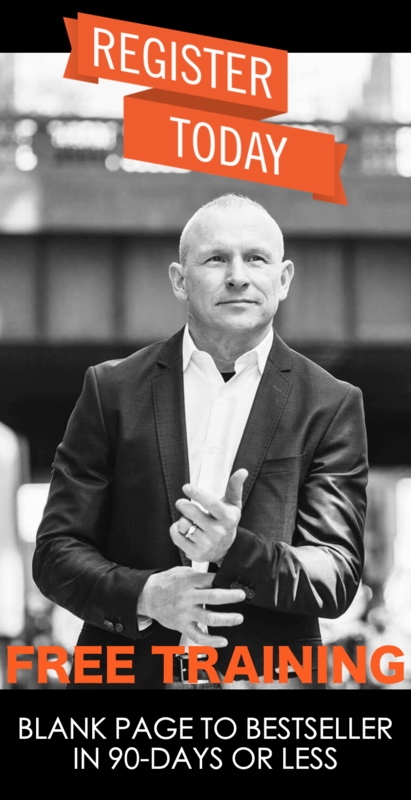 If you are being if you’re if you’re talking to a potential client, and you’re trying to close them, you can say, just as an aside, hey, you know, I was just speaking with my publisher today, he actually gave me some great coaching. Anyway, and he said that I should start telling people that I’m publishing a book about real estate. And now this is your Alyssa, your realtor, and they’re like, Oh, my God, you’ve got a book coming out about real estate values, really excited about helping me with that. And you do it as an aside and that’s it that begins it. And what you’re doing is seeing are they even vaguely interested and how are effective are you at sharing your message before you tell them good God and everything. Because you want to open the door, like, hey, how are you? Make the introduction first, and then listen, like take a moment to actually connect with the other person and in listen and look them in the eyes that you’re doing that either face to face, or just wait for their response. Because some people just don’t care. Even if they love you. They’re in the middle of other things. And they’ve got other things that are their priority. And maybe hearing your whole story is not yet. But this starts the old book pitch. So I’ve my challenge to you is to ​start your ultimate book pitch​. Tell people you’re publishing a book and I will help you with your with Epic off. If you join epic author publishing, I will help you with that, like art, we have a company that will help support you. And I’ll train you and I’ll show you how to get this done. Most people are scared thinking that their book is going to take them too much time. It is going to be this distraction from how they make money, or how they are there from their family. And I’m in the middle of creating a new webinar right now to kind of debunk all those beliefs, because they’re just false beliefs. 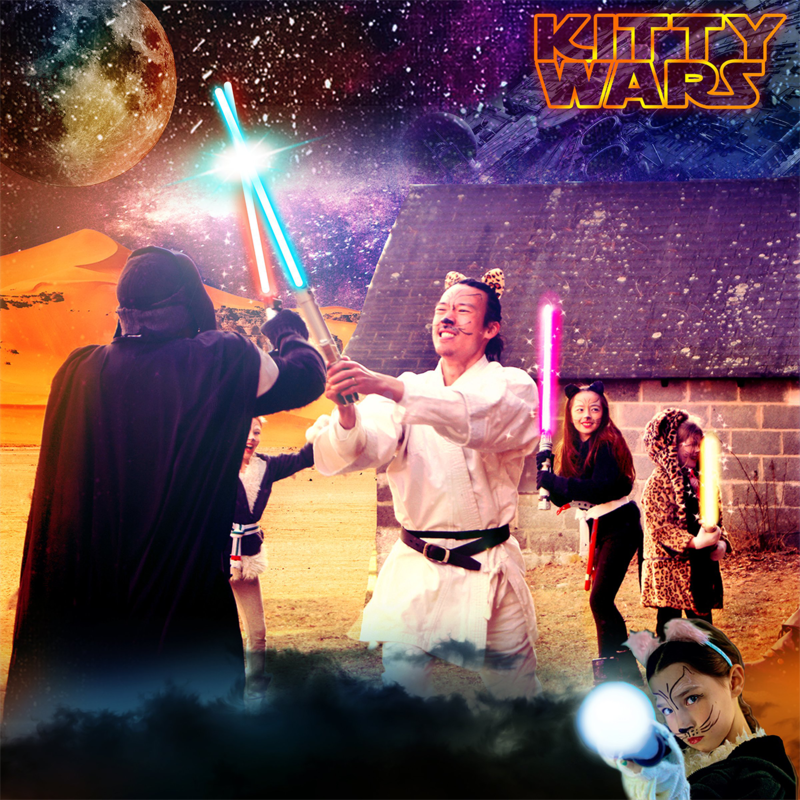 And so I’m really excited about the new training coming out. And here’s what I would also an invitation is that if you’d like to give me your book, I’m going just my personal email, you can send it to support@trevorcrane.com. And all I’m you want to read your book idea, just like my book mentors did with me as a reward for being one of my podcast listeners. And if you want to see if you’re getting validation that your concept makes sense, I’m going to invite Tell me about your book. So this is means you got to take some initiative. So this is kind of cool. Because this recording, it could be no more than five minutes. And you can do it either on audio or video. And I just want to hear back best job is to tell me and try to make it concise five minutes. Now, I’m going to challenge you in and of itself is a challenge because you’re like, oh, man, like preferably, the shorter, the better. 30 seconds a minute would be great. Most of us don’t know how to create a story format this powerful. And this is the second part is going to tell somebody about your book, you need to figure out how to do it 10 edits and all of that I will, I don’t want this to be a difficult task. But it will challenge because you’re going to be sending me a message. And if you do that, I promise to get back to you read it. Excuse me, Listen, to give you my feedback about your book concept. And am I telling you exactly what to say? No, I don’t need to see you already know, why do you think you want to get a book done, you already have all these ideas. My job is just to listen. And what I really screwed up yesterday was I interrupted someone who was in the middle of telling me their stories, their ideas, their books. And, and what happened is I broke massive rapport, because we didn’t set the time in the context to do it. And because I didn’t put a time limit on it, I’d have been on the phone for an hour, and I had other appointments to get to. And as much as I love people, and as much as I wanted to help them, this was not the time nor the place. And in all honesty, he was just because he read my book, he actually didn’t know who I am, what I do, how I help. And so he was a little grumpy about the whole thing. So the first thing you gotta do is also get permission. Remember, at the bar, you know, you you grew up and you say, hi, how are you? You know, can I buy you a drink, you know, and it’s a little presumptuous to maybe there’s other cute ways to buy drinks for people the bars and pick them up and take them home. I know, like I said, I was never very good at it. But permission is really cool. And so I’m giving you permission right now, I would love to hear your story. But do so in a concise fashion. Give me your concepts and ideas. And when I did this with my mentor, I did it inside of our community. Like he’s like, hey, man, post in here, and then see if your book ideas are good one that was that, like, in in, in all truth, it wasn’t a lot of personal one on one with me and my mentor, because he had a system and a process to help and support. And so my challenge to us to make this book pitch, make this book pitch to the world by telling them. And make this book pitch to me by just recording in no more than five minutes what you think your idea is. So you can get some validation in direction of that you’re going in the right direction. Or you’re going to be like me, and you have this great idea the could make a great book. But it’s not the first book that you should write. It’s not the book that you should be focused on right now. And I won’t do that with judgment and saying, Oh, my God, that’s the stupidest thing I’ve ever heard. Because I’ve never heard a stupid idea like that. I know that your book ideas are amazing. And you’ll probably write them at one point. But I want you to think of a book like being a key that unlocks a door, a door that opens into a room. And then nobody wants keys to just get into doors. Unless you’re a janitor. That’s, that’s all you do is you just lock in, you unlock doors. Most people want to go into go through the door, so they can get into the room of the house that does something be at the kitchen, that bathroom the laundry room. 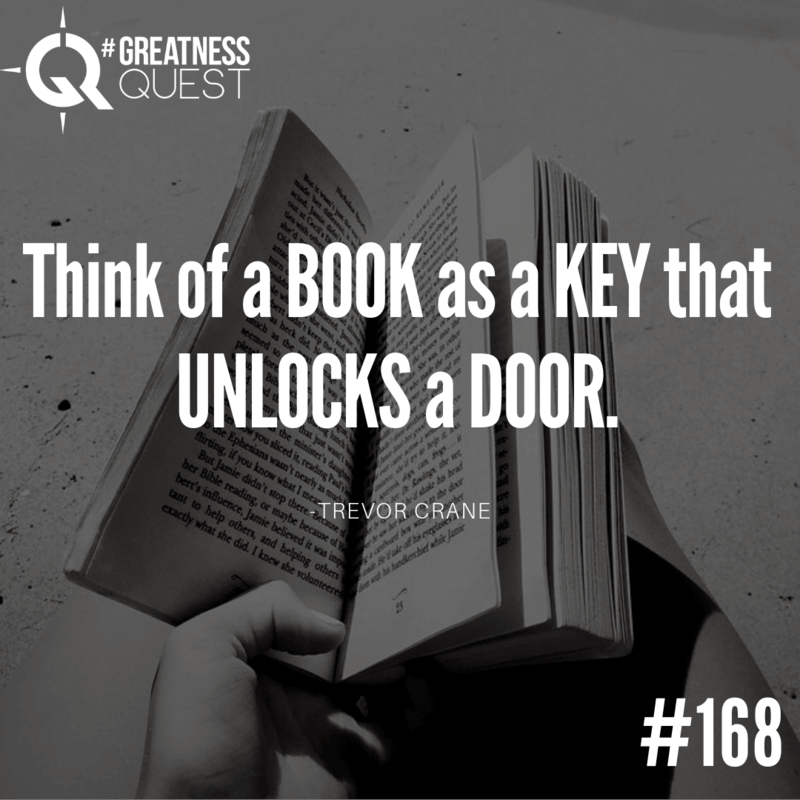 And in all likelihood, your book is going to be a key that opens a door in your castle or in a castle. And there’s a lot of rooms in the castle. There’s a lot of books inside of you. There’s a lot of books inside of of your mind, they should be shared with the world. Let’s figure out the first one that you need to write what door on what the door needs to be unlocked. So you can bring people into your universe into the space where they can get all the love and help and support and connection with you that they need. That’s the room all that love and all that stuff that’s coming next is like people unlock the door to get through it. Like your book is that lock your book is the key to use me to that door to get them through. And then you want to make an invitation to them to help them and support them even more. like nobody unlocks the laundry room and goes oh my God, thank you so much. That’s cool. Like I unlocked it. That’s excellent. They get in the laundry room and you’re there. They there’s no soap. No, the machines don’t work like what they what they want to keep going. So most people write books. And they think that it’s the end when your book is that it opens the door. 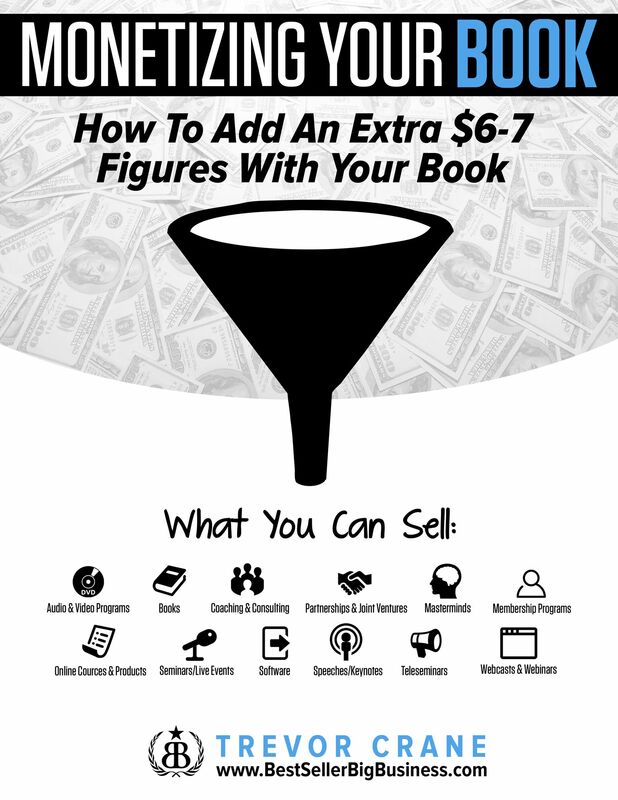 And this is where there’s a business find your book, there’s so much for helping support on extra connection that you can make with your audience to create a mass movement and help you monetize. So that’s all I got for you today. Your ultimate book pitch is that most of the time we keep the secrets inside our head and we talk to ourselves and maybe a few other people that we care about, about instead of telling the world and this is a TV world everything great and get permission first. And then come up with a concise way to share your message and and I’m really good at helping you do that. And like I said I made an invitation just send a video or a link to a video or an audio recording and you can use a service called freeconferencecall.com​. If you want to just record this on your phone it’s free and it’ll just you can send me a link so you don’t have to worry about big files there’s so many ways you can do it I made the recommendation that you could use otter.io and you can use that as a free a free app and record right into it and you could give me access through that and I could actually read the story transcript as well. So that’s my challenge to you is to start sharing your message and if you’re like dude what you’re gonna show me how to do a proposal to make you know that’s down the line the ultimate book pitch is designed today to just get you started going in the right direction instead of having a 30 to 60 minute conversation with me or anybody else out of contact and we can help you more after that. All right. I want you to make today magnificent and please take me up on this challenges could take you three minutes no no scripting just open up your phone hit record on the call ​freeconferencecall.com​ and record your call and send me the link to support@trevorcrane.com​ and I can’t wait to hear your book idea in your book pitch. And I don’t anticipate that I’m going to get hundreds of these. I think it most this will scare a lot of people. So if you’re one of the ones that wants me to hear your story and wants to get confirmation of like what to do next this might be really valuable resource for you and you’ll be one of the few people that I get personally my thoughts concepts. All right. Make it a magnificent and I’ll talk to you tomorrow.